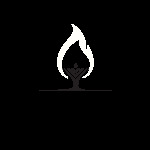 Welcome to Chabad of Cypress & NW Houston! Our Chabad House is more than just a synagogue. It is a home for any Jew looking for a warm and spiritual place to grow. At Chabad, everybody's welcome. Come when you want. Leave when you want. Bring the whole gang. Treat your soul to something special. With a "come as you are" attitude, you'll feel right at home. No matter where you live, work or study, if you are looking for a place to express your soul, this place is for you. We believe the world is a good place and that light dispels darkness. We believe that Judaism should bring people together, not keep them apart. Our differences are opportunities for learning and growth. We believe in acts of kindness and maintaining a healthy sense of humor. Laughter is a good thing. So is smiling. You'll see a lot of smiles here at Chabad. We're big on the whole joy thing. Call 8326516964 to schedule a meeting with the Rabbi to find out more about Chabad and what it can offer you and your family.